Gade is a highly artistic and motivated cosmetic company that was established in the year 1985. All the products are manufactured in countries like Switzerland, France and Italy. It is one of the Danya cosmetics flag brands. Are are looking for some best cosmetic products that suits your skin types? Then you are not alone in this search. I had seen many women who often get confused in purchasing these products. But don’t worry, this time Gade is here to help you…Gade is one of the best selling cosmetics brand in Europe, Australia and the Middle East. It offers a wide range of color cosmetics products in terms of fragrances, nail and skincare etc. Through these quality products Gade inspires each women to reveal her own unique beauty. Lets have a look at all the Gade cosmetic products!!! Gade is a highly artistic and motivated cosmetic company that was established in the year 1985. All the products are manufactured in countries like Switzerland, France and Italy. It is one of the Danya cosmetics flag brands. This Danya cosmetics is a top leader in the cosmetics market, which has a growing list of regular customers from different countries of the world. There is a wide collection of products like eye shadows, mascara, lipglosses, bronzers, concealers, lipsticks, makeup kits and much more!! All these products come in deluxe packaging and uncompromising quality. This is fresh, long wear, oil free foundation developed by Gade artists that leaves your skin silky-smooth with a natural matte-velvet finish. Idyllic Matte Velvet foundation is a perfect mix of matte spherical soft-focus powders, emulsifying actives and smooth controlling agents. That is capable of perfecting your skin for a flawless shine-free look that can last all day long. The hydrating formula contains Laricyl (purified astringent agent) extricated from the mulch of a mushroom. It can lessen skin irregularities and minimizes the appearance of all the pores and imperfections from the skin. Idyllic Matte Velvet Foundation Ingredients: Dimer Dilinoleyl Dimer Dilinoleate, Aqua/Water/Eau, Isododecane, Dimethicone, Cyclopentasiloxane, Titanium Dioxide, Ethylhexyl Methoxycinnamate, Polysilicone-22, Cetyl Peg/Ppg-10/1 Dimethicone, Polysilicone-11, Polymethylsilsesquioxane, Disteardimonium Hectorite, Sodium Chloride, Phenoxyethanol, Phenylisopropyl Dimethicone, Dimethicone/Vinyl Dimethicone Crosspolymer, Propylene Glycol, Peg/Ppg-18/18 Dimethicone, Methicone, Sodium Dehydroacetate, Decylene Glycol, Lauroyl Lysine, Disodium Edta, Tocopheryl Acetate, Butylene Glycol, Fomes Officinalis Extract, Laureth-12, Ethylhexylglycerin [+/- Iron Oxides (CI 77491, Ci 77492, Ci 77499)]. Radiant and moist radiant highlighter is a creamy luminizing pen that brings radiance to the skin, removes all signs of fatigue and brightens up the level of complexion. This is an amazing blend of all the beneficial complex and vitamins that comes with a convenient brush for daily touch-ups. This is a lightweight pressed powder specially designed to offer your skin with a silky soft, natural matte finish. Basics Smoothing Silky Pressed Powder formula amalgamates the skin-nourishing benefits of the smoothing ceramide, anti-aging, quercus suber extract and peptide complex to delay the appearance of fine-lines while firming the skin’s look. Moreover, the usage of micro-mineral pigment technology works as a protective shield against free radicals and pollution. Basics Smoothing Silky Pressed Powder Ingredients: Talc, Oryza Sativa (RICE) Starch, Octyldodecyl Stearoyl Stearate, Dimeticone, Zea Mays (Corn) Starch, Zinc Stearate, Caprylyl Glycol, Phenoxyethanol, Dimethiconol, Hexylene Glycol, Dipropylene Glycol, Dimethicone/Vinyl Dimethicone Crosspolymer, C12-15 Alkyl Benzoate, Silica, Tribehenin, Ceramide 2, Polymethylsilsesquioxane, Quercus Suber Bark Extract, Peg-10 Phytesterol, Lactic Acid, Palmitoyl Hexapeptide-12. [+/- Titanium Dioxide (CI 77891), Iron Oxides (CI 77491, Ci 77492, Ci 77499), Red 7 Lake (CI 15850), Ultramarines (CI 77007)]. A unique Ceramide Silky Blush Palette that comes in six flattering blush shades. It is enriched with the soothing Ceramide Triple Complex to strengthen the skin’s natural appearance. The lightweight formula comprises silk powder with a fine combination of pearls and pigments which can immediately brighten up your complexion. The satin-smooth powder allows personalized effects from natural to dramatic with build-able coverage perfectly highlights the cheek outlines. Basics Ceramide Silky Blush Palette comes in a sleek case with a mirror tight enough for travel and mid-date touch-ups. You may apply these pressed powders individually or blend them together to create the most desired results. Basics Ceramide Silky Blush Palette Ingredients: Talc, Mica, Boron Nitride, Aluminum Strach Octenylsuccinate, Isostearyl Neopentanoate, Polybutene, Zinc Stearate, Dimethicone, Nylon-12, Octyldodecyl Hydroxystearate, C 12-15 Alkyl Benzoate, Phenoxyethanol, Serica (silk powder), Cyclomethicone, Caprylyl Glycol, Chlorphenesin, Pentaerythrityl Tetraisostearate, Tin Oxide, BHA, Ceramide 2. [+/- Titanuim dioxide (ci 77891), Iron oxides (ci 77491, ci 77492, ci 77499), Yellow 5 lake (ci 19140),Red 40 lake (ci 16035), red 6 (ci 15850), red 7 lake (ci 15850), Red 30 lake (ci 73360), Ultramarines (ci 77007), carmine (ci 75470)]. This Essentials Skin Perfecting CC cream is a best combination of highly protective elements to yield a natural, flawless, youthful skin. It hydrates and protects the skin in just one step. The lightweight, silky moisturizing formula contains Hawthorn extract with balancing and astringent properties that erases fine lines and smooth the skin. White lily bulb extract stops the appearance of premature aging, influences the tone, resilience and litheness of the skin. While the natural multi-functional complex combined of meadofoam seed oil, apricot, safflower and olive oil with shea butter tones the skin’s natural ability to reimpose and retain moisture for a smooth, radiant look. The silicone-coated pigments present with polymers soften fine lines and removes imperfections. Usage: Apply this Essentials Skin perfecting CC Cream to your clean skin. Smooth evenly over the entire face. Essentials Skin Perfecting CC Cream Ingredients: Water/Aqua/Eau, Prunus Armeniaca (APRICOT) Kernel Oil, Disteardimonium Hectorite, Dimethicone/Vinyl Dimethicone Crosspolymer, C12-15 Alkyl Benzoate, Dimethicone, Cetyl Peg/Ppg-10/1 Dimethicone, Butylene Glycol,M Ethylhexyl Methoxycinnamate, Glycerin, Trisiloxane, Polyglyceryl-4 Isostearate, Sodium Chloride, Phenoxyethanol, Potassium Sorbate, Sodium Hydroacetate, Aluminum Hydroxide, Triethoxycaprylylsilane, Squalane, Boron Nitride, Tetrasodium EDTA, Propylene Glycol Dicaprylate/Dicaprate, Mineral Oil (Paraffinum Liquidum), Carthamus Tinctorius (SAFFLOWER) Seed Oil, Limnanthes Alba (Meadowfoam) Seed Oil, Olea Europaea (OLIVE) Oil Unsaponifiables, Lilium Candidum Bulb Extract, Butyrespermum Parkii ( Shea Butter), Lecithin, Crataegus Oxyacantha Extract, Pentaerytrityl Tetra-Di-T-Butyl Hydroxyhydrocinnamate. [+/- Titanium Dioxide (CI 77891), Iron Oxides (CI 77491, Ci 77492, Ci 77499)]. Lash Fever Multi-Dimensional Mascara Ingredients: Aqua/Water/Eau, Synthetic Beeswax, Paraffin, Glyceryl Stearate, Butylene Glycol, Oryza Sativa Cera (Oryza Sativa (rice) Bran wax), Stearic acid, Palmitic acid, Polybutene, VP/Eicosene Copolymer, Cera Carnauba/Copernicia Cerifera (Carnuba) Wax/Cire De Carnauba, Aminomethyl Propanol, Acacia Senegal gum, Phenoxyethanol, Hydroxyethylcellulose, Soluble collagen, Propylene Glycol, Glycerin, Tropolone, Sodium PCA, Mel extract (honey extract), Hydrolyzed Elastin, Sorbic acid, Serine, Glycogen. [+/- iron oxides (ci 77499)]. This is a dazzling wet and dry eyeshadow palette featuring six-intensify eyeshadows. The double-ended brush applicator beautifies eyes with a complex elegance. Blended with rich pigments the splendid palette presents the best features of baked power technology to dress the eyes with occult plays of shadows and light, bringing their natural beauty. The sweet almond oil nourishes and rejuvenates the skin to a great extend. The multi-faceted formula can be applied dry or wet for long-lasting more intense color. These shades can be mixed with one another to deepen or lighten the tone. The soft lustrous powders wraps your skin in a seamless layers of pure color for a silky-smooth radiant finish. Highlights Wet and Dry Eyeshadow Palette Ingredients: Mica, Talc, Caprylic/Capric Triglyceride, Synthetic Fluorphlogopite, Nylon-12, Octyldodecyl Stearoyl Stearate, Cocoglycerides, Phenoxyethanol, Hexyl Laurate, Polyacrylamide, Sorbic acid, Dimethicone, Silica, Isopropyl Myristate, Calcium Aluminum Borosilicate, ppg-25-Laureth-25, c13-14 Isoparaffin, Chlorphenesin, Glyceryl Ethylhexanoate/ Stearate/ Adipate, Laureth-7, Bis-diglyceryl Polyacyladipate-2, Cobalt titanium dioxide, Cetearyl Ethylhexanoate, Sorbitan Stearate, Tin oxide, Prunus Amygdalus Dulcis oil. [+/- Titanum dioxide (ci 77891), Iron oxides (ci 77491, ci 77492, ci 77499), Ferric Ferrocyanide (ci 77510), Chromium Oxide Greens (ci 77288)]. This High Precision Matte eyeliner is a waterproof eyeliner that gives you a long-lasting true black finish. It allows easy application and a pristine even line in just one stroke. A super-fine tip applicator for accurate definition and multipurpose application options. Slides on smoothly and evenly. Free from parabens and formaldehydes. Removes easily with Soothing eye makeup remover. High Precision Matte Eyeliner True Black Ingredients: Aqua/Water/Eau, Pentylene Glycol, Ethylhexylglycerin, Methylpropanediol, Butylene Glycol, Tromethamine, Citric Acid, Silica, Oleyl Alcohol, Magnesium Aluminum Silicate, Stearic Acid, Glyceryl Stearate, Cellulose, Hectorite, Xanthan Gum, Acrylates/C10-30 Alkyl Acrylate Crosspolymer, Tocopherol, Phenoxyethanol. [+/- Iron Oxide Black (CI 7799), Ultramarines (CI 77007)]. This Idyllic Powder Eyebrow Pencil is a dual ended eye brow pencil that comes with a perfect shaped brush to give a beautiful natural look. The velvety-smooth pigmented powder texture completed with natural oils and waxes slides on like for eventual comfort. It is purely paraben free. Usage: First, brush your eyes upwards to open up the eyes , then apply with light upward stroke. You may use the brush to blend. Idyllic Powder Eyebrow Pencil Ingredients: Hydrogenated Vegetable Oil, Silica, Octyldodecanol, Rhus Succedanea Fruit Wax, Hydrogenated Polyisobutene, Hydrogenated Palm Glycerides, Ethylhexyl Palmitate, Lecithin, Hydrogenated Palm Kernel Glycerides, Glyceryl Behenate/Eicosadioate, Butyrospermum Parkii (SHEA Butter), Tocopherol, Ascorbyl Palmitate, Citric Acid. [+/- Mica, Titanium Dioxide (CI 77891), Iron Oxides (CI 77491, Ci 77492, Ci 77499)]. This soft satin lipstick is an ideal fabulous wear. It is a combination of true lustrous color that adds shine to the lips in just one stroke. Contains rich lip-care elements like hyaluronic filling spheres, powerful natural fillers and anti-oxidant pomegranate oil to nourish the lips and lower the appearance of fine lines and wrinkles. The startling creamy texture contains selected raw materials that can slide onto the lips for a plumping effect and a lively dazzling color. This Satin lipstick is available in twelve signature shades. Idyllic Soft Satin Lipstick Ingredients: Pentaerythrityl Tetraisostearate, Polyglyceryl-3, Octyldodecanol, Polyethylene, Diisostearyl Malate, Octyldodecyl Stearoyl Stearate, Polybutene, Cera Microcrystallina/Microcrystalline wax/Cire Microcrystalline, Diisostearate, Synthetic beeswax, Candellila Cera/Euphorbia Cerifera (Candellila) wax)/Cire De Candellila, Mica, Aroma (flavor), Synthetic Fluorphlogopite, Tocopheryl Acetate, Irvingia Gabonensis Kernel Butter, Ethylhexyl Palmitate, Caprylic/Capric Triglyceride, Hydrogenated Coco-glycerides, Tin oxide, Silica Dimethyl Silylate, Butylene Glycol, Caprylyl Glycol, Punica Granatum Bark extract, Sodium Hyaluronate, Silica, BHT. [+/- Titanium dioxide (ci 77891), Iron oxides (ci 77491, ci 77492, ci 77499), Red 28 lake (ci 45410), Red 6 (ci 15850), Red 7 Lake (ci 15850), Yellow 5 Lake (ci 19140), Yellow 6 Lake (ci 15985), Blue 1 Lake (ci 42090)]. Crystallic Pure Shine Gloss is a moisturizing lip gloss that can be used for everyday make-up. Vitaskin a sole complex of vitamin E and raspberry seed oil soothes and cares the lips by lowering the appearance of lines for a healthier pigmentation. Hydracire, a functional moisturizing agent (a blend of jojoba, sunflower, mimosa) provides long-lasting hydration effects. Your lips will remain in absolute comfort with fine brilliance of a crystal shine. Crystallic Pure Shine Gloss Ingredients: Polybutene, Mango (Magnifera Indica) seed butter, Octyldodecanol, Ethylhexyl Palmitate, Silica Dimethyl Silylate, Flavor (aroma), Tocopheryl Acetate, BHA, Benzyl Benzoate, Phenoxyethanol, Palmitic acid, Benzoic axid. may contain/peut contenir: Mica, Synthetic Fluorphlogopite, Silica, Titanium dioxide (ci 77891),Iron oxides (ci 77491, ci 77492, ci 77499), Carmine (ci 75470), Red 6, Red 7 (ci 15850), Red 28 Lake, Red 30 Lake (ci 73360), Red 40 Lake (ci ), Ultramarines, Yellow 5 Lake (ci 19140), Silver (ci 77820), Aluminum Powder (ci 77000),Tin oxide, Blue 1 Lake (ci 42090), Ferric Ferrocyanide, Calcium Aluminum Borosilicate. A rich, creamy that slides effectively with maximum color release. It is molded into its automatic mechanical case. The presence of stable silicone in this High Precision Lip Liner prevents smudging and promotes a prolonged shining effect throughout its application. High Precision Lip Liner Ingredients: Cyclomethicone, Ozokerite, Mica, Trimethylsiloxysilicate, Polyethylene, Phenyl Trimethicone, Lecithin, Tocopherol, Ascorbyl Palmitate, Citric acid, Disteardimonium Hectorite, Propylene Carbonate, Euphorbia Cerifera (Candelilla) wax, Dicalcium Phosphate. [+/-mica, Titanium dioxide (ci 77891), Iron oxide (ci 77491, ci 77492, ci 77499), Red 7 Lake (ci 15850), Red 34 Lake (ci 15880), Manganese Violet (ci 77742), Yellow 5 (ci 19140)]. This is a juicy lollipop limpid shade that comes with an ultra-glossy finish. It is available in seven dazzling fruit shades that dries fast and yields a sensational look. The expert brush allows a very easy and flawless application. Usage: Apply 2 coats of Crystal Glow nail paint on bare nails. Let the first coat to dry few minutes before applying the second coat. Crystal Glow Lolligloss Nail Enamel Ingredients: Ethyl Acetate, Nitrocellulose, Adipic Acid/Neopentyl Glycol/Trimellitic Anhydride, Isopropyl Alcohol, Stearalkonium Bentonite, Acetyl Tributyl Citrate, Acrylates Copolymer , Styrene/Acrylates Copolymer, N-Butyl Alcohol, Propylene Carbonate, Silica, Diacetone Alcohol, Benzophenone-1, Butyl Acetate, Phosphoric Acid. [+/- Titanium Dioxide (CI 77891), Iron Oxides (CI 77499), Red 34 (CI 15880), Yellow 5 Lake (CI 19140), Red 6 Lake (CI 15850), Red 7 Lake (CI 15850), Ferric Ammonium Ferrocyanide (CI 77510), Manganese Violet (CI 77742), Ultramarines (CI 77007), Blue 1 Lake (CI 42090)]. This is a super shinny coat that lasts for a longer period. The coat is effective in protecting against chipping and peeling, gives a lustrous and a smooth glossy finish. Top Coat Gel Nail Enamel Ingredients: Ethyl Acetate, Acetyl Tributyl Citrate, Adipic acid/Neopentyl glycol/Trimellitic Anhydride Copolymer, Butyl Acetate, Nitrocellulose, Isopropyl Alcohol, Heptane, Benzophenone-3, violet 2 (ci 60725). Diamond Radiance Serum is blended with an advanced formula. This is a silky smooth serum that contains a mix of pure diamond powder to boost radiance and increase the hydration level of the skin. Diamonds Radiance Serum Ingredients: Water/Aqua/Eau, Alcohol Denaturated, Glycerin, Cyclohexasiloxane, Butylene Glycol, Dimethicone, Pentaerythrityl Tetrastearate, Peg-20 Methyl Glucose Sesquistearate, Phenoxyethanol, Sodium Polyacrylate, Glyceryl Stearate Citrate, Glyceryl Stearate, Hydrogenated Polydecene, Polysilicone-11, Parfum (FRAGRANCE), Xanthan Gum, Ethylhexylglycerin, Mica, Trideceth-6, Propylene Glycol, Titanium Dioxide (CI 77891), Cyclopentasiloxane, Sodium Hyaluronate, Alpha-Isomethyl Ionone, Benzyl Salicylate, Hydroxyisohexyl 3-Cyclohexene Carboxaldehyde, Benzyl Benzoate, Diamond Powder, Citronellol, Hydroxycitronellal, Eugenol, Panax Ginseng Root Extract, Sodium Lactate, Carbomer, Coco-Glucoside, Geraniol, Linalool, Isoeugenol, Plantago Lanceolata Leaf Extract, Palmitoyl Tripeptide-1, Palmitoyl Tetrapeptide-7, Tocopherol. This is a true nourishing night care cream formulated with JuvinityTM lipid complex and soothing agents. Both these ingredients acts as strong wrinkle-smoothing antioxidant. With regular usage, this cream helps our skin to heighten its natural collagen for a more agile, revived appearance. Longevity Nutrimoist Night Cream Ingredients: Aqua/Water/Eau, Caprylic/Capric, Glycerin, Triglyceride, Butylene Glycol, Coco-Caprylate/Caprate, Butyrospermum Parkii (SHEA Butter), Phenoxyethanol, Sorbitan Tristearate, Parfum (FRAGRANCE), Carbomer, Cyclopentasiloxane, Dimethicone, Cetyl Alcohol, Glyceryl Stearate, Peg-40 Stearate, Potassium Cetyl Phosphate, Ethylhexylglycerin, Geranylgeranylisopropanol, C13-14 Isoparaffin, Hydroxyisohexyl 3–Cyclohexene Carboxaldehyde, Butylphenyl Methylpropional, Benzyl Salicylate, Alpha-Isomethyl Ionone, Peg-8, Sodium Hyaluronate, Hexyl Cinnamal, Laureth-7, Tocopherol, Linalool, Algae Extract, Polyacrylamide, Sodium Hydroxide, Citronellol, Limonene, Ascorbyl Palmitate, Prunus Amygdalus Dulcis (SWEET Almond) Flower Extract, Jasminum Officinale (JASMINE) Flower Extract, Magnolia Biondii Extract, Ascorbic Acid, Citric Acid, Sodium Benzoate, Potassium Sorbate. Icon Roses is a fresh and soft body lotion that comes with a sparkling floral fragrance. It is a blend of soothing almond oil, sea butter, hibiscus flower extract and vitamin E oil. The light weight consistency melts into the skin, leaving it soft and pleasantly scented. Icon Roses Perfumed Body Lotion Ingredients: Cetyl Alcohol, Butyrospermum Parkii (shea butter), Propylene Glycol, Glycerin, Dimethicone, Parfum (fragrance), aqua/water, Isopropyl Myristate, Caprylic/Capric Triglyceride, Stearic acid, Cyclotetrasiloxane, Phenoxyethanol, Glyceryl Stearate, Imidazolidinyl Urea, Triethanolamine, Cyclopentasiloxane, Sodium Benzoate, Prunus Amygdalus Dulcis (sweet almond) oil, Tocopheryl Acetate, Ethylhexylglycerin, Bisabolol, Disodium EDTA, BHT, Hibiscus Sabdariffa flower extract, Benzyl Salicylate, Citronellol, Coumarin, Butylphenyl Methylpropional, Geraniol, Limonene, Linalool. Icon Explorer Eau De Toilette Spray is a aromatic and sensual fragrance that is specially designed for men. It is made from the natural extracts of rosemary, lavender, green violet leaves, marine notes and warm sandalwood. The spray comes in a dark glass bottle where the base is filled with cashmere wood, masculine cedar, musk and spicy amber to provide a typical masculine scent. Icon Explorer Eau De Toilette Spray ingredients: Alcohol, Parfum/Fragrance, Aqua /Water /Eau, Hexyl Cinnamal, Citronnellol, Butyl Methoxydibenzoylmethane, Ethylhexyl Salicylate, Geraniol, Coumarin, Limonene, Linalool, Citral, Ethylhexyl Methoxycinnamate, BHT, EDTA. Makeup acts as a miracle worker for every women. 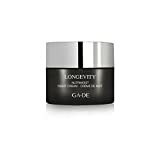 Gade Cosmetics offers its customers, a range of light weight and long-lasting products. All these beauty cosmetics can boost the moisture levels and correct all the imperfections present in the skin. You can directly buy the products from the Gade’s website or amazon.com at a reasonable rate. Gade offers coupon codes on all the products ranging from 15% to 50% off. Besides this, it offers $18 gift promo codes for first order. Just click on check sale on the right side at the top of the Gade page and go to the relevant coupon code. But remember, all this promotion codes will not last for a longer period. So grab your offer at the earliest and enjoy complete shopping at a much cheaper rate. When will Gade Cosmetics deliver my ordered products? Usually, the delivery of products takes between 3-14 working days from the date of approval. Can I cancel my order, if the product does not reach to me from the date of purchase? Absolutely, you can cancel all the orders if the product does not reach you by 30 days. All your money will be refunded back at the earliest. Does Gade cosmetic test on animals? No, Gade does not test any products or ingredients on animals.